We were approached by Chartered Surveyors Whittle Jones to design, develop and build a bespoke website and mobile web app for their practice; they required a site that could be used to showcase their latest instructions and list their office locations around the country. Our digital team set to work creating a bespoke website design that carried with it the Whittle Jones colour palette throughout. The new site also features a property search tool which allows users to easily navigate through each property available, depending on their requirements. The website also includes a full social media integration system. Making your site mobile-friendly can offer you a huge advantage in your business’s market place, with people using their mobile devices more and more to browse the internet. 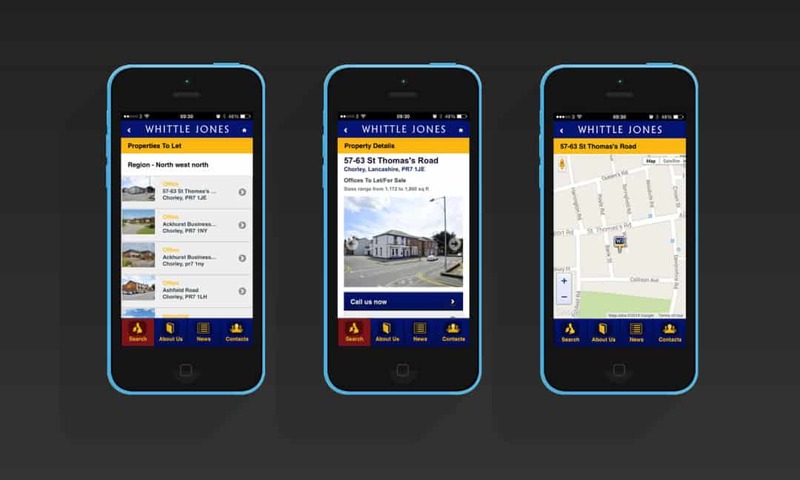 With that in mind, our digital team developed a bespoke web app for Whittle Jones which enables users to search for specific properties available with ease. Whittle Jones Chartered Surveyors perform an asset management function for commercial portfolios totalling circa 9 million sq ft, consisting of industrial/trade and office accommodation in over 4,000 units, with unit sizes ranging from as little as 76 sq ft to c 50,000 sq ft.